Flowers are great refreshing delight of nature; they can change a mood of a depressed one into happiness if given as a gift. We love mostly with the shapes of flower therefore no matter whether it is real or artificial. Here we have gain a purpose with an old ballpoint and duct tape to make this beautiful DIY duct tape pen flower. You can make a chunk of these handmade flowers at home and can prepare a DIY flower bouquet by putting them together as a bundle. 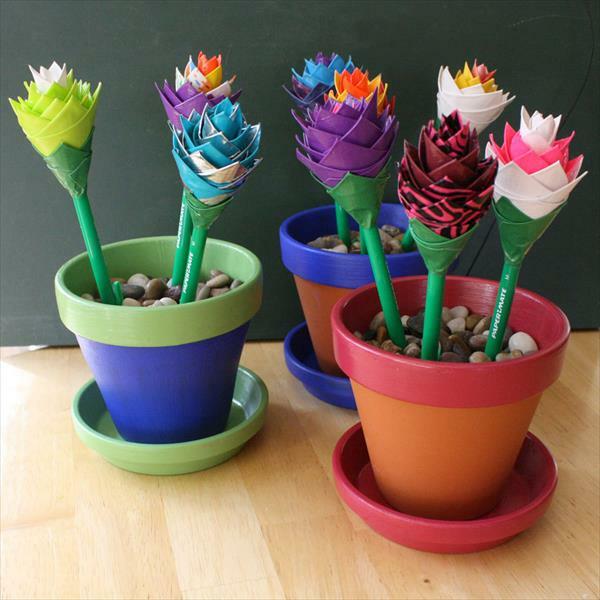 We have used an old pen with duct tape all around to serve as a flower stem. After making the each flower petal, combine them with glue in flower pattern with a little bit hand twists. 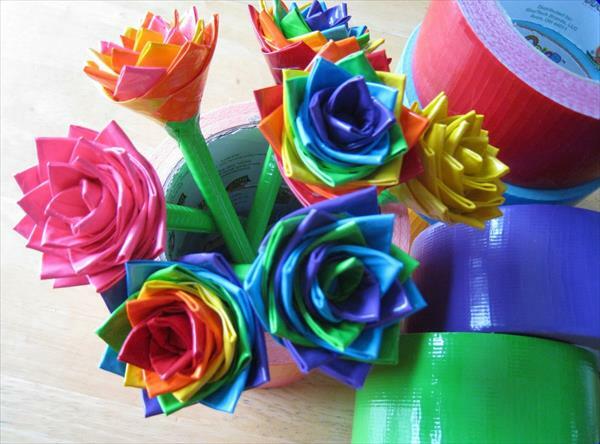 After making the complete flower shape combine both separately prepared components to attain a flawless handcraft of DIY duct tape pen flower.